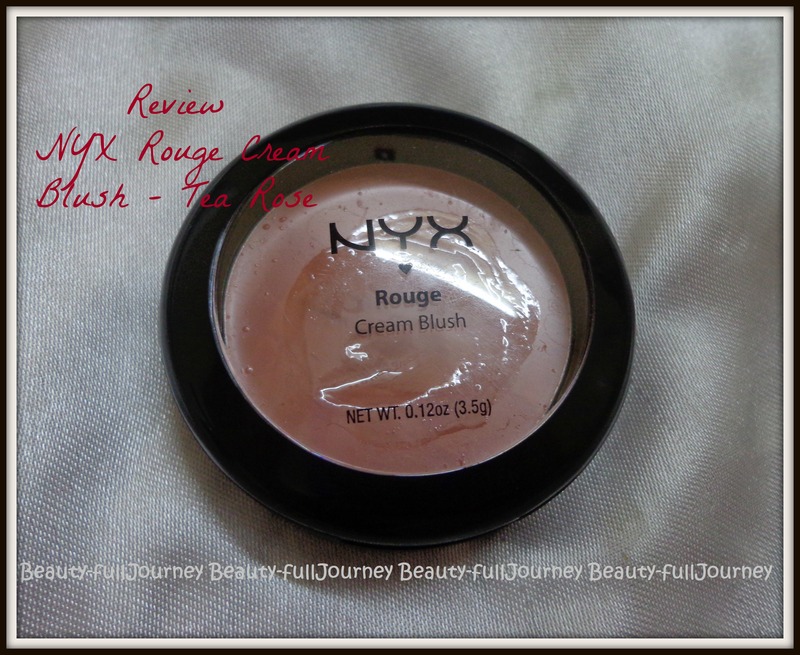 REVIEW,SWATCHES: NYX Rouge Cream Blush – Tea Rose. 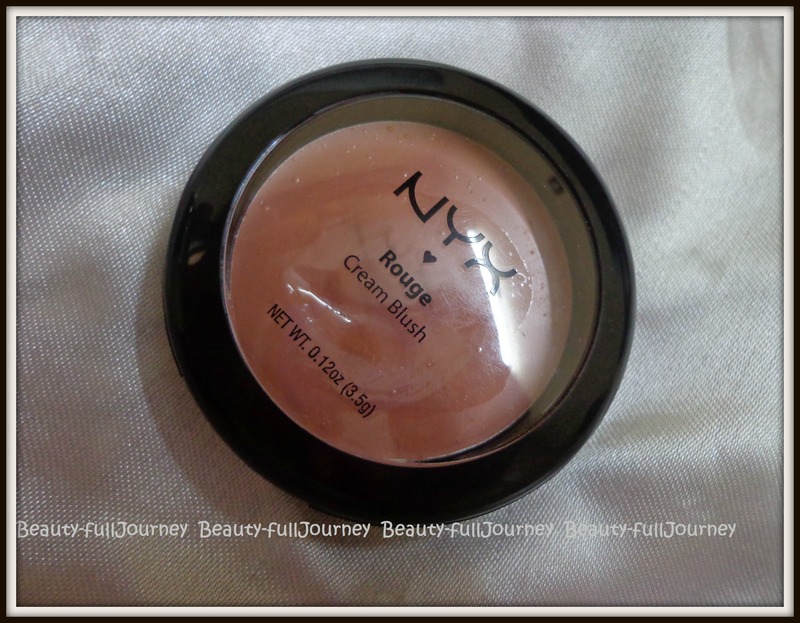 NYX Rouge Cream Blush – Tea Rose. More delicious than peaches and cream? We like to think so. Our velvety smooth mineral Rouge Cream Blush offers a sheer wash of radiant color. The glorious payoff is dewy, sultry and long-lasting. Available in 12 shades. Available at most online stores and Sephora, Select Citywalk, New Delhi. I have never used a blush on a daily basis before this. And I really wanted to try using one. Having heard so much about NYX’s blushes I decided to give them a try. I got one each from the cream and powder blushes from the new year medplusbeauty sale. 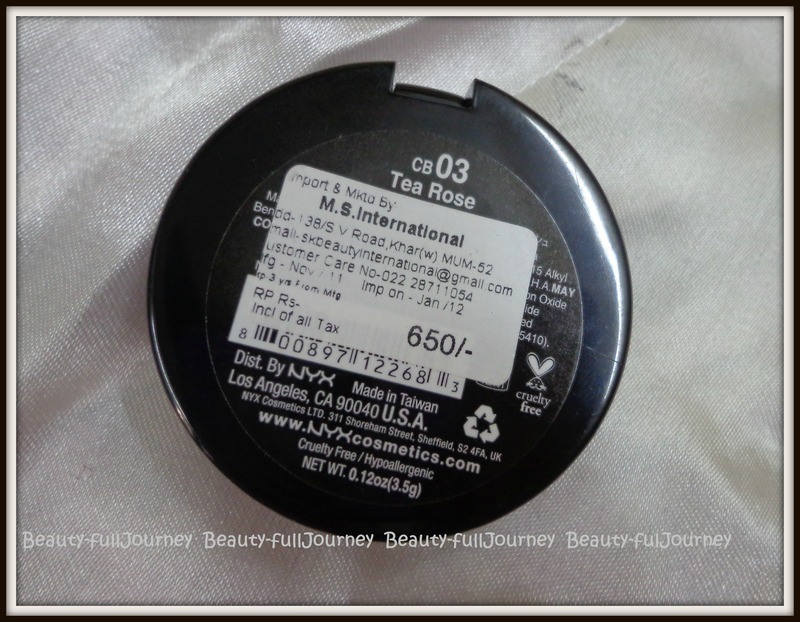 This blush costed me Rs.470/- for 3.5g which is quite a reasonable price. Talking first about the packaging, the blush is housed in a round matte black plastic container with a transparent lid. The lid shuts tightly and the packaging is sturdy enough for travel. I personally really like the packaging as I find it very sleek and classy. 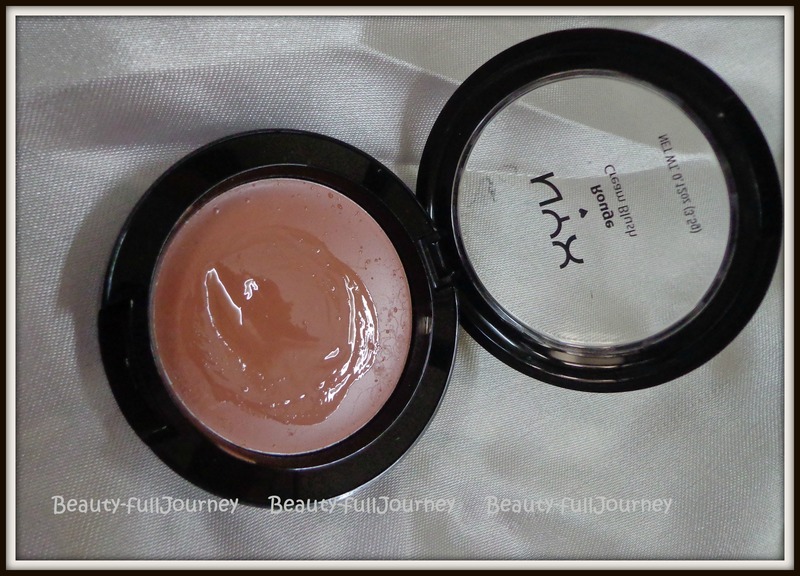 NYX blushes have been compared to MAC blushes in terms of packaging and quality innumerable times. I do not own any MAC blush so can’t really compare them for you. When I bought this blush, I wanted the shade, Glow or Natural but they were both out of stock. The shade, Tea Rose is described by NYX as a medium beige pink. I would describe it as a very muddy pink. It has more tones of brown than pink. I didn’t like the shade much initially but once I used it I loved it! It is a very good everyday shade, at least for me who’s a college student and anything too obvious on the cheeks looks too OTT. In peak winters, my complexion looks extremely pale and frankly speaking I look like a ghost. This blush gives a much-needed warmth to my face. This shade might not show up on very dusky skin tones but it’s a great everyday shade for fair-medium skin tones. But in the swatches you can see the pink in it. I’ve shown swatches in different lighting so you can judge the shade better. 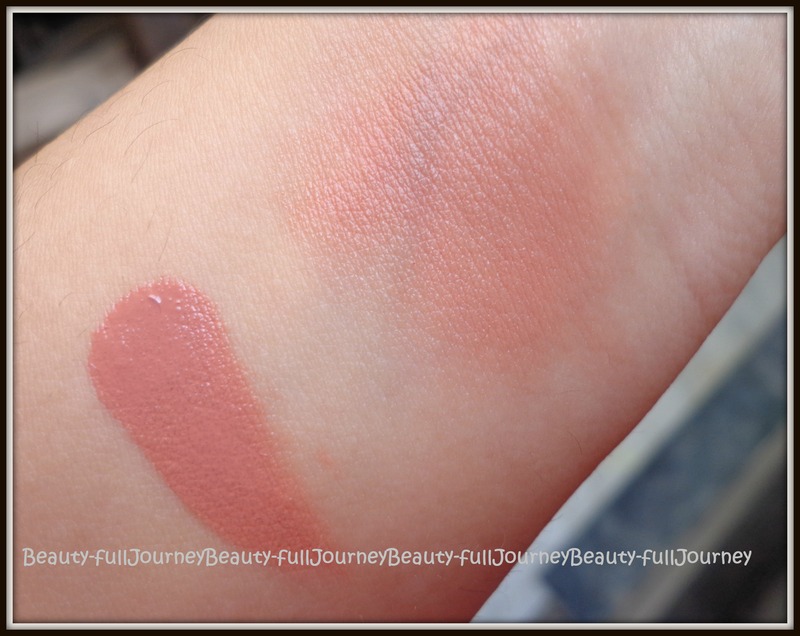 The texture of the blush is very very smooth. It feels like a soft cream. I apply this with clean fingers. I just dot it on my cheek and then pat over it to blend it. It gets blended very easily. And it’s absolutely great for beginners. The blush dries on the cheek quickly and after that it doesn’t look too wet or sticky or anything. It gives a dewy finish but nothing that would look oily, unless used on very oily skin. 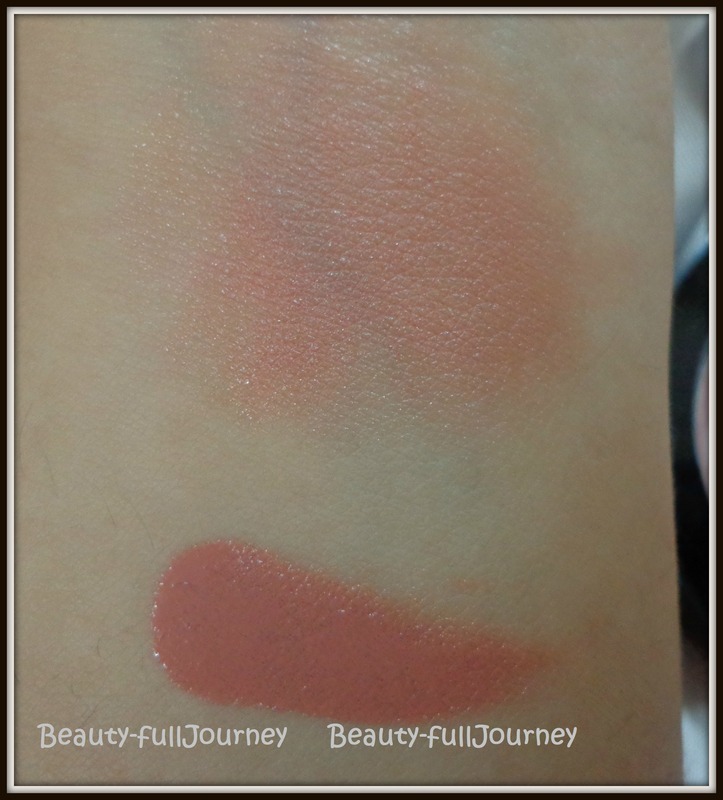 The blush is extremely pigmented, very less amount each time gives good amount of colour. But I am not very happy with the staying power. It lasts only around 3-4 hours on me. The first day when I used it and when I came back home in the evening, after about 6 hours, I had absolutely nothing on my cheeks. My skin is quite dry in winters and I think that’s why this suited me well. Personally I think this won’t suit girls with too oily cheeks. It would look too oily and even it might not be good for the skin as it’s so creamy. Although I feel the price I bought it for is good enough for the quantity(these would last my entire life:P), if not bought on discount its slightly expensive. Also, the price at which this is sold in India is almost double the price in US so knowing that, yes, it feels expensive! 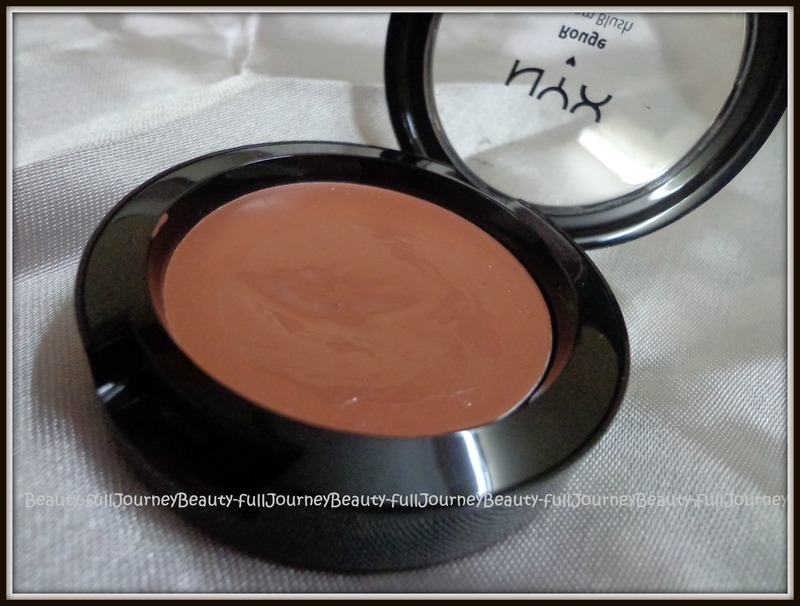 Overall, NYX rouge cream blush in Tea Rose is a great everyday blush for normal to dry skinned girls. It won’t suit oily skinned girls. The quality of the blush is great, it’s very pigmented, creamy, easy to apply. It’s a great choice for beginners. Highly recommended by me! 1) Sturdy and classy packaging. 3) Creamy and soft texture. 4) Very easy to apply and blend. 5) The shade – Tea Rose is great for everyday wear. 6) This shade might not suit dusky skin tones. 2) A little expensive if bought on the MRP. 3) Doesn’t stay for a long time. 4) Not for oily skin. Next > REVIEW – Herbal Essences Hello Hydration Shampoo, Conditioner.